Our gym is so very fortunate to have a great group of members. So many of our members have been with us since the gym first opened. Joining our facility allows an individudal to join a very close tight-knit group of dedicated and loyal members. I believe it is one of many reasons people prefer our facility over others - - the quality of our members and the camaraderie they offer. No one will ever feel lost or overwhelmed joining our facility. We offer personal training services, but often our qualified staff are ready and available to demonstrate equipment or formulate a workout at no additional charge! Our gym sets itself apart in other ways as well. 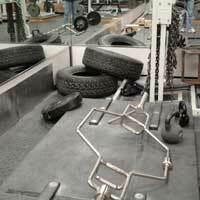 Professional athletes have often utilized our facilities over others due to the diversity of our equipment and plentiful free weights area. Professionals from the WWE (and formerly the WWF) have frequented our facility. Our current members include an Arnold Strongman qualifier as well as a former Ms. Olympia. But, you don't have to be a professional athlete to be part of our membership. I believe our greatest attraction lies in the value of a membership which is available for as low as $15 per month, a Family of Four can sign up at our facility for $40. We have no hidden fees! 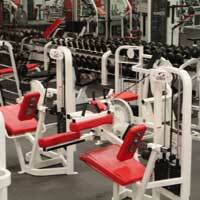 Our Memberships include the gym, tanning and current movie rentals. If you are interested in talking with us about Personal Training please contact us. At Plainfield Gym and Tanning we provide fitness for all levels, we would like to show you around so stop in and see our place! We want you to feel comfortable and we offer you the tools for success at a reasonable rate. Be sure to read Member Stories and hear the teestimonials of those who are home at Plainfield Gym and Tanning. Our membership form is available in a PDF (Portable Document File) and you need Adobe Reader to open and print. Get Adobe Reader here.